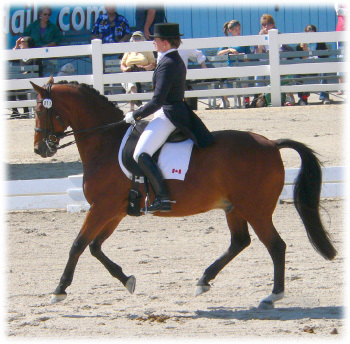 Oulton Hall Dressage was founded in 1992 by Daphne Haagmans [B.A. (Ling); B.A. (Psych/Math)]. — Let Daphne help you find your next dream horse! © 2011 Oulton Hall Dressage. Photos © Caroline Van der Zande. Website design by Design Booth.